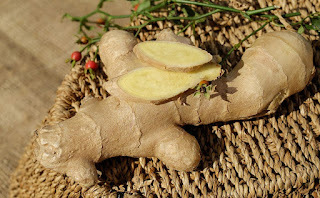 Ginger for good health,natural health booster. Ginger is also known by the name of Adrak in India and in India ginger used mostly in all vegetables recipes not only for enhance the flavor but also for good health.Ginger contains many nutrients including iron,calcium,iodine,chlorine and vitamins.Also ginger is a powerful antiviral.It strengthens the digestive system.Ginger can be used both fresh and dry.Let's know about some properties of ginger. Regular consumption of ginger can be rid of the problem of appetite.If you feel less hungry,cut ginger and finely chop it,take a little salt and eat it once a day for eight days.This will make the stomach clear and more hungry. 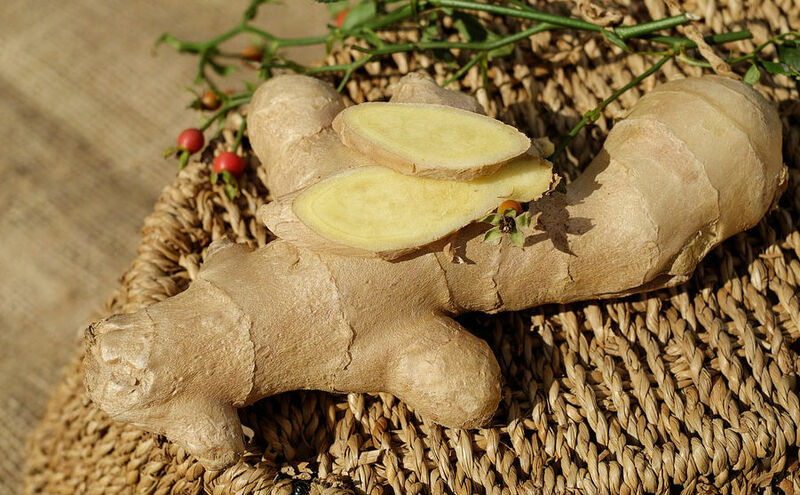 Ginger is always considered to be the best medicine for cough.When coughing,cut the small pieces of ginger with equal quantity of honey and drink twice a day.This will cure cough and it will also end the sore throat. Ginger is very beneficial for stomach problems.It helps in improving digestion and make your digestive system more strong.Digestion become more better by eating ginger with celery,rock salt and lemon juice.As well as get rid of the problem of constipation. Ginger makes the skin beautiful,healthy and shiny.If you want to make your skin more beautiful healthy,then eat a piece of ginger with glass of warm water in the morning.This will not only enhance your skin beauty,but you will look younger for a long time. The use of ginger also controls our cholesterol,improve blood circulation,as well as the properties of ginger anti-fungal and cancer-resistant. It works like painkillers without any side effects.Grind fresh ginger and mix it with a little bit of camphor and prepare the coating on the swelling and painful parts.